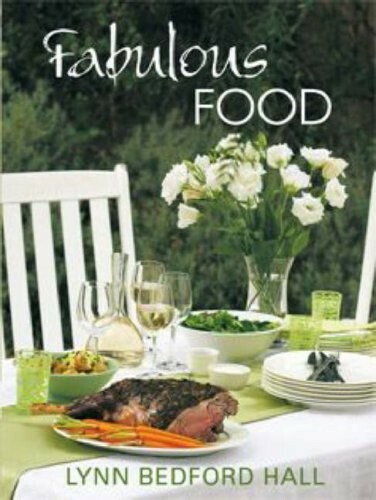 Fabulous Food is a collection of practical, reasonably easy, delectable recipes in a visually captivating format. All 180 recipes have been photographed in full colour, with an easy layout and design that will make reading and using the book a pleasure. Fabulous Food is a combination of the new and the old – a selection of recipes garnered from Fig Jam and Foxtrot and Return to Corriebush, plus a few from the author’s books that are now out of print, as well as new and unpublished creations. All in all, a fabulous book to use in your kitchen, or to give as a treat to a foodie friend or newlyweds. It introduces soups, starters, snacks, light meals and salads, fish and seafood, chicken, Venison, Ostrich, Beef, Veal, Lamb, Pork, Pasta, vegetarian main courses, desserts and a range of baking recipes.